What We Offer — 38 Paddle Co. 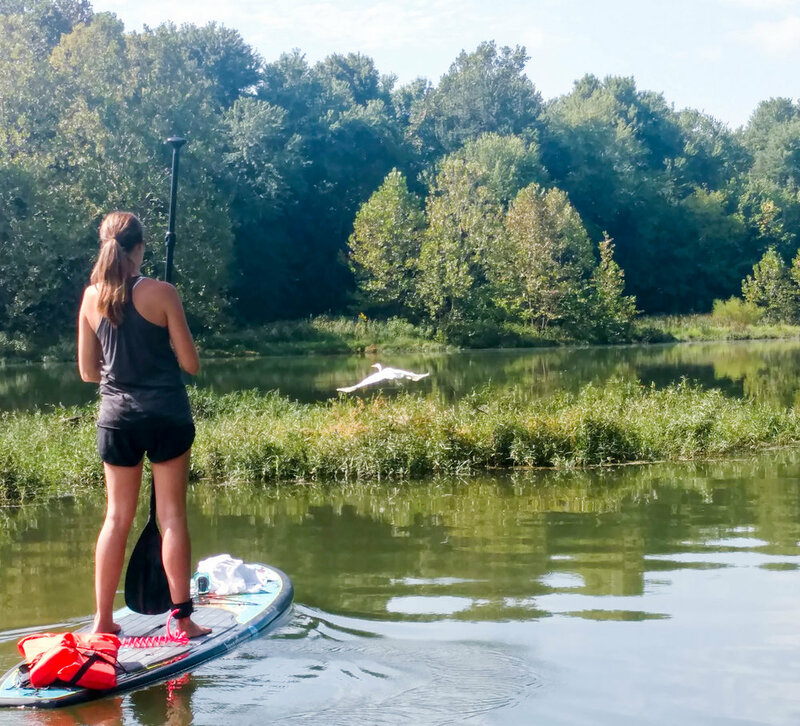 Whether you're an expert or a first time paddler, we offer paddle board and equipment rentals that get you on the water and having fun in no time. Perfect for a "float trip" style paddle day. Pack a lunch and head out to explore the lake! Add a paddle board to your pontoon boat to take your own "floating island" anywhere on the lake! Take SUP to the next level with core workouts, drills and on-board excercises. Throughout the summer we offer a wide range of events to bring the paddle tribe closer together and give you more reasons to get out on the water with other paddlers. See what we have coming up on the schedule. If you want to branch out to other lakes we can bring you the equipment for a guided tour. This service is BY APPOINTMENT ONLY and is reserved for smaller groups of 4 boards or less.